At the turn of the millennium in London, the first Maximilian boutique was opened. This special place was not chosen by chance. The capital of Great Britain fully corresponds to the luxurious, multi-faceted and aristocratic brand Maximilian. The founder of the company is Maksim Artsinovich, jeweler, designer and patron of art. Majestic emeralds in Colombia, Brazil, Zambia and Afghanistan. Hot rubies and icy sapphires in Burma, Thailand, Tanzania, Madagascar and Mozambique. 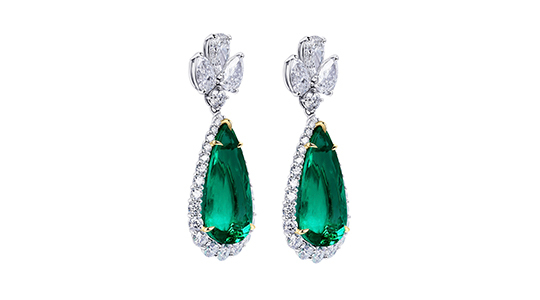 Maximilian London becomes the supplier of the largest jewelry houses. Together with his brother Denis, Maxim creates a new line of jewelery from silver Maximilian Silver Label. Maximilian London presents its own system of investing in precious stones. Anyone can collect his collection of diamonds and earn on it. Establishment of the Maximilian Art Foundation. The organization is engaged in publishing books about art, supporting young artists and artists, holding exhibitions of the highest level. The founder of the Foundation, Maxim Artsinovich, donates a collection of modern stone-cutting art as a gift to the State Hermitage Museum. Opening of the first official boutique in the hotel Jumeirah Zabeel Saray in Dubai. Chronograph Maximilian London - this is a real masterpiece of watchmaking. The case is made in two versions - platinum and pink gold. The clock hands are made by a hereditary German watchmaker. Ergonomic strap - made of crocodile skin. Delivered in an exclusive casket from Elie Bleu. Maximilian Art Foundation acts as the organizer and sponsor of the exhibition of the works of the famous photographer Steve Makari in the State Hermitage Museum. Opening of a new jewelry boutique in the Emirate of Dubai in the hotel Jumeirah Al Qasr. Maximilian Art Foundation is working to create the International Center for Art and Culture "The Hermitage in Dubai" and the international exhibition World Expo Dubai 2020. The Foundation is preparing an exhibition of the works of the famous photographer Patrick Demarchelier. The exhibition will wait for connoisseurs of art within the walls of the State Hermitage in the spring of 2018.